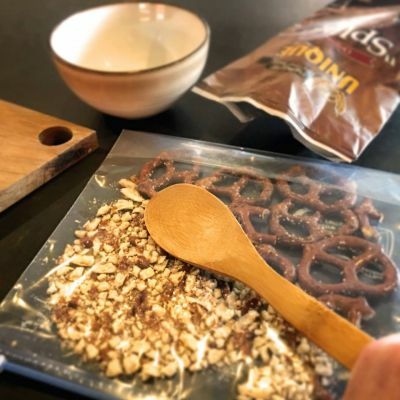 In a resealable plastic bag, crush Unique “Splits” pretzels into small crust/breading size pieces. 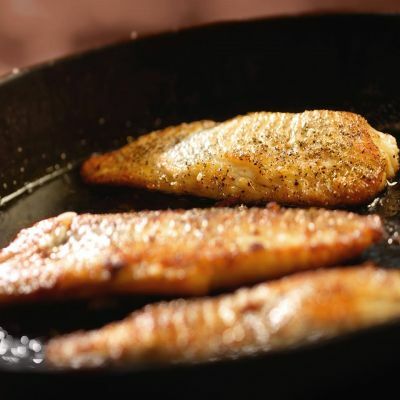 Evenly coat trout fillets with mustard, then season with salt and pepper. 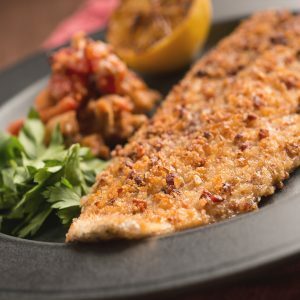 Lay the mustard coated trout fillets in the pretzel crumbs and press to help adhere the crust. In a frying pan or skillet, heat olive oil until shimmering. 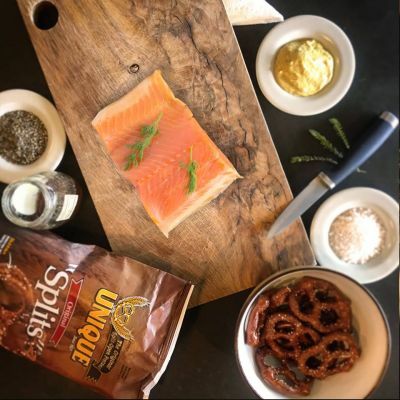 Add trout fillets, pretzel crumb side down. Cook until golden brown, approximately 5 minutes and then flip, cooking for 2 more minutes on the other side. Plate over rice and greens, or with a side of your choice.